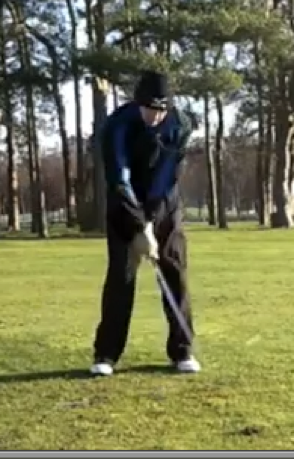 I'm trying to work on my takeaway as I see this as a root cause of problems with the top of the swing being so flat. 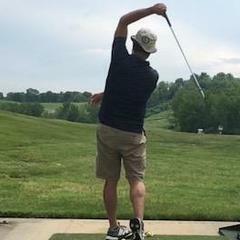 I've been playing about 3 years now, i've had some lessons and i've worked hard on hitting on the inside, but now I look at my swing and see flaws that I need to address if i want to get to the next goal this year of shaving six strokes off my current 21 HCP. Apologies for the poor video/angles, I really need a decent range and camera!. Video is set to private. Opps! I've now made it visible hopefully. I think Jim Hardy would love you. It was like watching Matt Kuchar (which is not a bad thing). I think to get a better picture a face on view would be a big help. What are your typical misses with your swing? Please read the My Swing Rules. Please provide the proper camera angles. A link on how to do this is in the thread of the above link. Yes I have been reading a bit on Hardy....and yes I have looked at what Kuchar does with his real flat swing. My typical miss is a block left, I also hit the ball way too high with the driver. Personally I think i'm too flat, I have to work hard down the gym as it is and I can't see myself being able to have that flat a swing for many years! I am also rubbish under any form of preassure, but I think this is probably due to lack of experience more than anything! Oh and one last thing, my pitches I find are hard work due to bringing the club inside too much. I'll try and get some more video angles down as per the guidelines on the weekend. Question: is your bunker game really good? Because you're hitting everything like you're hitting a green side bunker shot. You block everything right because when you cup your lead wrist on the backswing, you are opening the club face dramatically. From there, you continue to cup when you get to impact. The club face is pointing to the right when it meets the ball, hence, all your shots going right with no power. 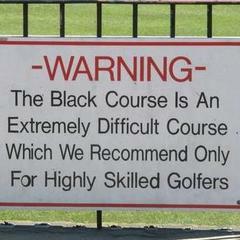 Also, please check out the Swing Thoughts forum for some really good topics. Here's something you can try right away: Palmar Flexion. Do this with your lead wrist throughout the entire swing. Backswing, impact, and into your through-swing and follow-through. Don't do this: Cupping (or Dorsiflexion) the wrist of your gloved hand. Because it opens the face like crazy and you fight a push, so you don't need to be opening the face so much. Take the club back more shut on your takeaway and then feel palmar flexion once you get to the top and through impact. Don't release the club at all. Now, you'll need to have your weight forward in order for this to work correctly, so read that Hip Slide link. Practice these things in slow-motion to get the movements down. 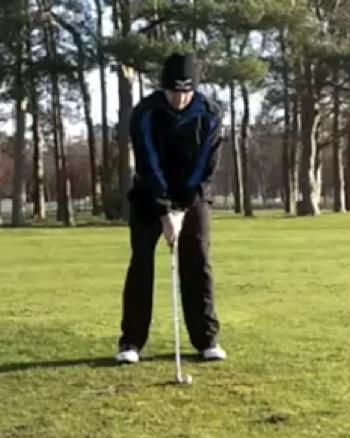 You can use this drill, where you pre-set the hips forward already, to work on getting your wrist flatter at impact. You need more forward shaft lean at impact and this will drill help you practice the palmar flexion piece. You're going to struggle. But like you said, this game ain't easy, even with the correct information. It doesn't come over night. Embrace the new feels. Catch one solid and watch it draw and you'll know what I'm talking about. This is just the tip of the iceberg BTW. Just to add a couple more points, palmar flexion is what you need because it shuts the club face relative to the swing path quite a bit, and you need more of that. The current swing pattern/sequence that you are using is designed to hit pushes to the right, hence the change(s) I'm offering. Palmar flexion and hips forward/weight forward is a more effective change than "rolling the hands over to shut the face" because doing that will invariably cause an over-the-top pull-slice of some kind, and you won't have much control over your swing's low point. Ask any questions of course. There are people here who can answer them clearly. Understanding "why" is an important first step. Is the left wrist being weak though not grip related? Originally when I began playing I had an exceptionally strong grip, this I blame my Tenpin Bowling days on which demanded this, however i've neutralised the grip now under the supervision of a pro and it's got to that stage. This does all make sense though and the pushes/blocks right are more common on the wedges to back this up. I just feel like i'm capable of getting so much distance yet seem to wind myself up by trying to hit the bugger harder! But I'll need to be working on these things one step at a time to see if it works for me so thank you. Out of interest whats your background? Are you a certified coach etc? Oh and btw is the flat swing plane ok? You might need to strengthen your grip yea, but I can't see your grip at all. Strengthening it will help close to face more relative to the path. If you're not doing it already, you probably want to be holding the club in the fingers of the left hand, not the palm, and seeing at least three knuckles of that left hand when you're at address. Again, I can't even see your grip, but I suspect a grip change would help you. Is your grip the cause of why you are pushing it? No. You hit out to the right because you cup your left wrist so much. But I'll need to be working on these things one step at a time to see if it works for me so thank you. No I'm not a coach, but if you tell me where you live, there's a small chance I'd be able to recommend a coach in your area who I think is good and who would also recommend these same changes to you, and in this order. 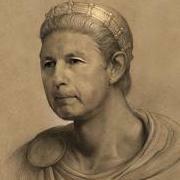 There are plenty of coaches on this site, and I'm a regular contributor. 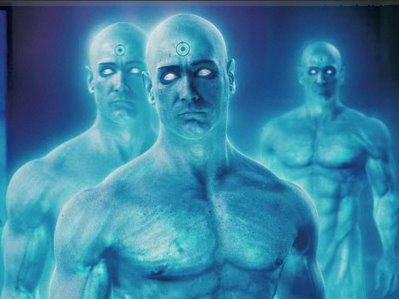 If I say anything remotely wrong, one of them will come on here and totally tear me down. You'll notice they haven't said a peep, which means, what I'm saying is correct. Again, the order in which you need to fix this stuff is just this for now: 1) hips forward 2) handle forward (palmar flex). Do it practicing that drill I provided. Yes, it's information overload, but I could've kept going with stuff that was wrong with your swing to be honest. I'm holding back right now. And you need to understand what I'm talking about in order to believe in what I'm saying. I'm trying to get you to learn how to "fish for yourself so you can eat for life, not just one fish so you can eat for a day," if you catch my drift. There's a huge problem though. It's the internet. And you need someone standing there next to you giving you lessons in order to truly learn this stuff. The problem is, most teachers have absolutely no clue about what I'm telling you to do here. Honestly, they're charlatans for the most part. Not because they know this info and they're hiding it, but because they don't know any of this stuff to begin with. Not all instructors are bad, but many of them are. Are there good instructors out there? YES. I study under a very good instructor, hence why I know some stuff about golf. You need to find a good instructor, man. I can't stress that enough. Learning through the internet, for a lot of people, is IMPOSSIBLE. The only thing I can really do is convince you that what I'm saying is the truth, and then you have to take it from there and find someone who can teach it to you in person. The best swing you might make at your next range session might be a cold shank, but you won't know it because there's no teacher there to tell you. Quality of contact when making changes is not an indication of whether or not you made a good swing. Don't forget that. Yes, keep it flat. Flatter swing planes make it easier to hit draws. Steep ones make it easier to hit cuts or fades. This is PGA Tour pro JJ Henry. He palmar flexes like crazy on his downswing. Look at his club face here at this point in his downswing. It's shut. That image you are seeing is what a shut club face looks like at this point in a downswing. 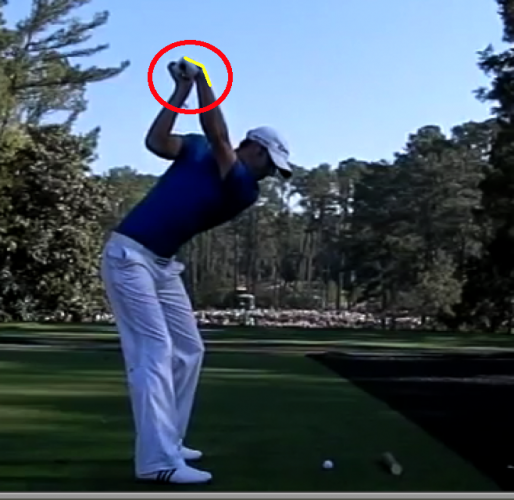 The main difference in the two swings is his wrist is palmar flexed and yours is dorsiflexed. Simple as that. From this point in your swing you have to make too many compensations with your hands to get that face pointing in a better place by impact. Again, I can't stress enough how critical it is to find a good instructor to be working with, in person. To give an analogy, learning golf alone vs. learning golf with a good instructor is like the difference between walking to your destination and taking a train to your destination. Ask instructors this quiz in your area and see if any of them pass with flying colors (a good teacher will not get any of these questions wrong). Again, I'm not telling you to spend like 10 years on lessons because that's how long it's gonna take you to get good. A good teacher -- based on your current level -- can get you much, much better and much, much more confident in anywhere between 1 and 5 lessons. So this isn't a huge money investment. One more thing: Squeezing your elbows together on your downswing and driving your right elbow into your right side will help you palmar flex a lot more and with a lot more ease. Elbows close together is an important piece that we could talk about for a while, but I recommend practicing that along with palmar flexion because the two more or less go together, along with all the weight forward, hips forward stuff I was telling you about. Again, this a lot of stuff, hence why I recommended finding an instructor to stand in your corner when practicing this stuff because you are going to be missing the golf ball trying to learn this stuff. Frustration will set in and you might think I don't know what I'm talking about. Side on is first 20-30 balls and it was 0 degrees today, also the low winter sun was directly in eyes at that time! Got a closer side on that cuts my lower legs off if anyone wants to see this. I'd partially warmed up as you can see with the dressage! Still a tad cold on the feet. 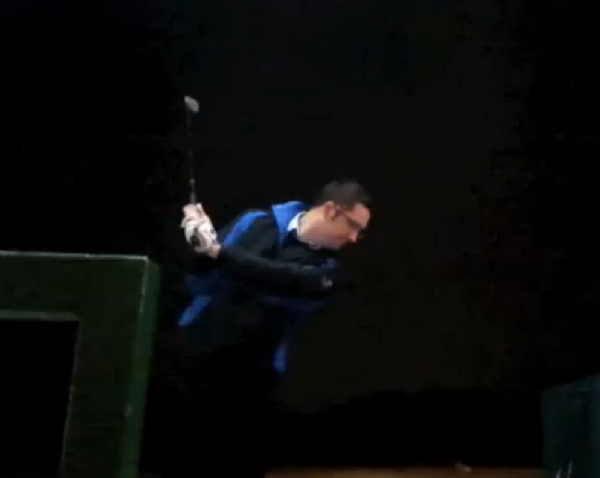 Stronger left hand grip wasn't completely there but it felt so much better off the club face, this was instantly recognisable in shape of shots and also the distance! First, let me say, thanks for posting much better videos I'll be really happy when you put up something that has 240 FPS but, like you said, baby steps. 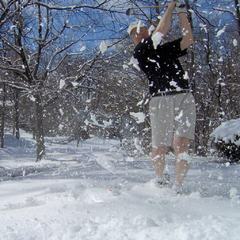 OK, to be frank, you're not getting it yet, but, I applaud the effort of more swing vids already. So I really want you to study a couple new ideas first. Here's a video from a golf school I really respect. It's called Golf Evolution. In it, the instructor juxtaposes two ways to swing the club: A) a very common and slow way, and B) a much more efficient and powerful way. Unfortunately, you fall under column A right now and need to be doing column B, but the good news is, this video is made just for you. Now, you may or may not be swinging this way because you are "trying to stay in your spine angle," but you are certainly swinging in the same manner as this instructor says is the "slowest way to swing the club." Don't worry, just be glad this video exists because its perfect for you. OK, thanks for posting a face-on view! Now I can see some things that you really need to be aware of. 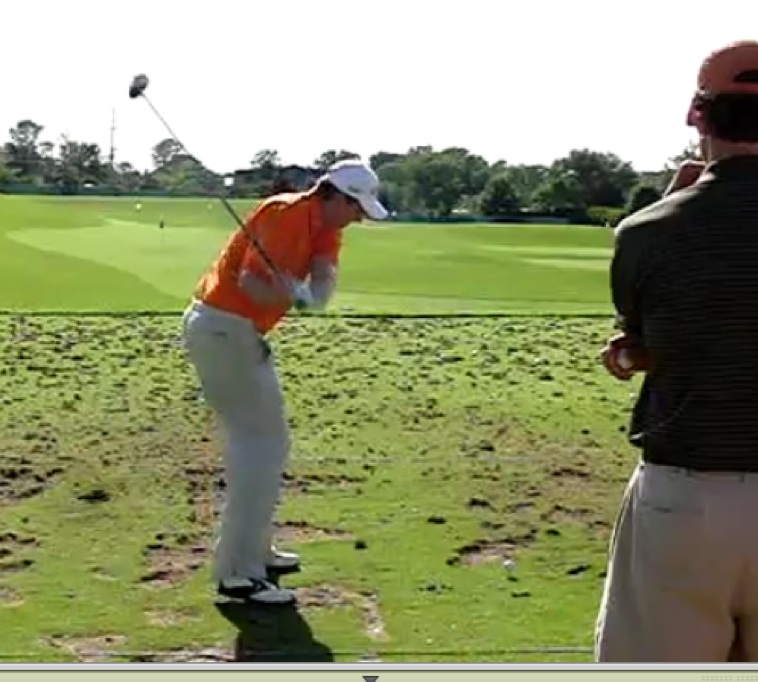 One: You are moving your hips back and make an enormous shift off the ball on the backswing. This is not necessary at all. You need to learn how to turn your shoulders around a fixed center, like Dave is talking about in the above video: A centered pivot. On your backswing, your low body is moving incorrectly. The correct movement is 1) the left knee bend forward, not inward and 2) the right knee straightens, or loses some of its flex that it had at address so your hips can turn open. This will feel like you are keep all your weight on your front foot and not shifting back. This is very important! You need to feel no weight shift on the backswing because you over-shifting right now. I'd suggest setting up with something like 55-60% of your weight on your front at address and keeping it there throughout the backswing. Hips are pre-set forward (weight pre-set forward), and kept there throughout the abbreviated backswing you will be making. I need you to feel more bowing of your wrist on the downswing, and I would suggest only practicing that right now doing the above drill, with the weight forward. Really palmar flex. Don't roll your right hand over the left to try to get "extra power" because that doesn't actually work for anyone. I want to see what it looks like on video. So do that drill with your weight forward/hips forward already, and palmar flex the lead wrist all the way into your follow through. Review that Golf Evolution video I posted about the better way to make a backswing. Your left knee should not go towards your right knee like that. It should go forward, or straight out in front of you, when it bends. This picture shows your two most significant problems right now. 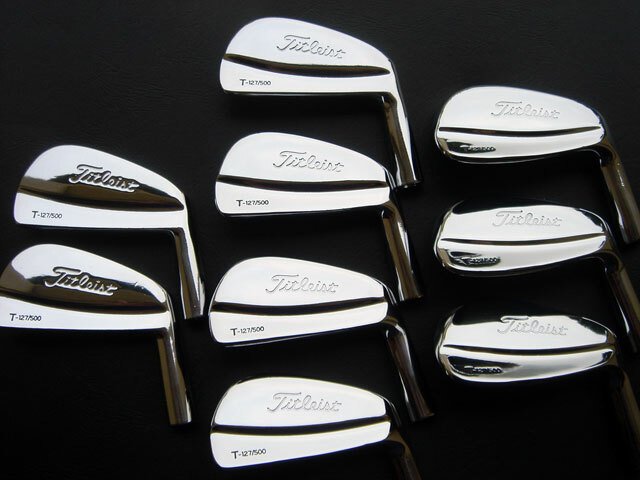 The handle of the club is back behind your hands, and your hips/weight are back. Hence, why I'm begging you to post your next video using that drill. More hip slide, more palmar flexion! We need to get you to start leaning that shaft forward at impact. 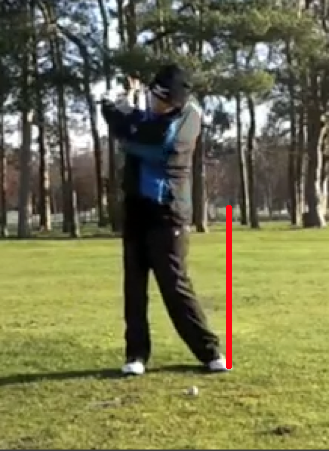 And we need you getting some secondary axis tilt by sliding your hips forward. Hips forward, hands ahead of the club. His head is in the same place as his hips have pushed forward. When you are doing the weight forward drill that I'm asking you to do, through impact, I want you to continue to palmar flex your wrist, and I want you to straighten your legs and extend your left hip upward, or feel like you are jumping. Can't thank you enough for the help here...you are ripping me a new one but i'm in need of this in order to go to the next level for sure. I have always been confused by the hips in my swing, they always seem to as you highlight do that and i'm lost as to why, i've tried everything, this is obviously where I lose power and compression. I'll be down the range tomorrow so will try and get onto this drill. 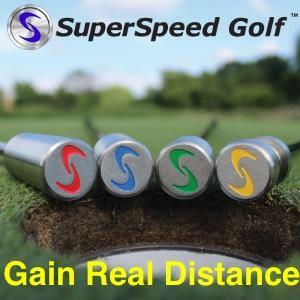 Overall it felt good after doing the drills, I can't see any improvement on the actual shot but the practice swing shows the point that I believe you are recommending I get to. 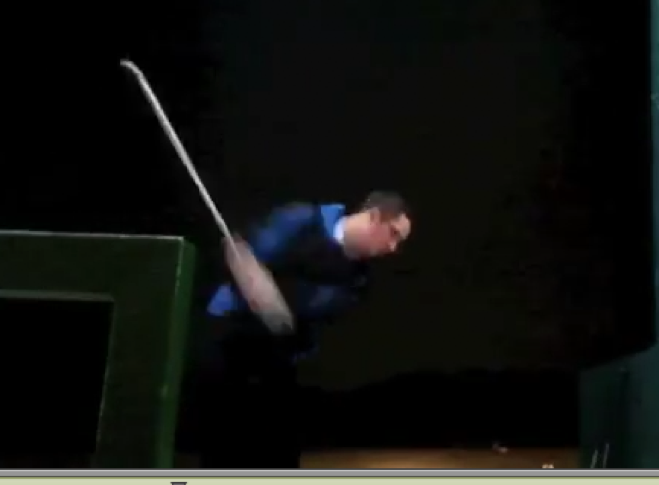 Main shots though poor I think, you can see a lack of compression with the club/hand race. Maybe my issue is how the club gets to the top here? BTW apologies for the sunlight again, its hard to avoid it this time of year!